MMJX125*4/160*4 Rice Grader Machine is mainly used for four-class grading of extra-grade rice, common rice, big broken rice and small broken rice that can also be applied in the separation with similar particle materials. MMJX125*4/160*4 Rice Grader Machine is used for dividing milled rice into different classes, and it can also be applied for grading other particles. When the rice grader machine is working, which will bring out three pathway- ellipse trail in feeding part, circular trail in medium section and line trail in discharging device. 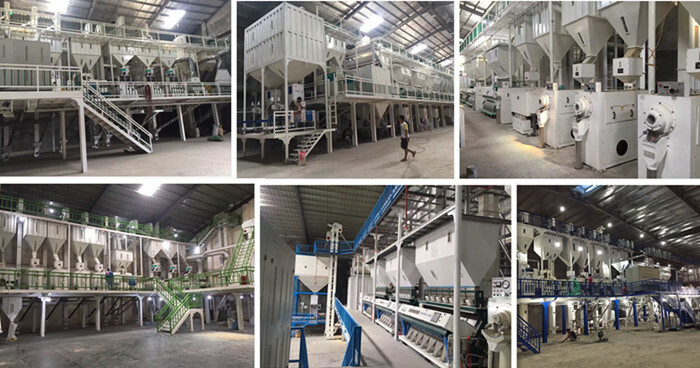 It is provided with unique sieve configuration and effective feeding device, chaff suction device, and simultaneously be adjust rotation speed in order to attain quick speed and high quality of separating effect. This rice grading machine is best fit for rice processing factory. ◆ Adopt turning around the center of the screen operation mode,the screen movement speed adjustable,the rotary turning amplitude can be adjusted. ◆ The second and third layer in series,oral rice containing low broken rate. ◆ Airtight sieve body equipped with suction device,less dust. ◆ Using four hanging screen,smooth operation and durable.